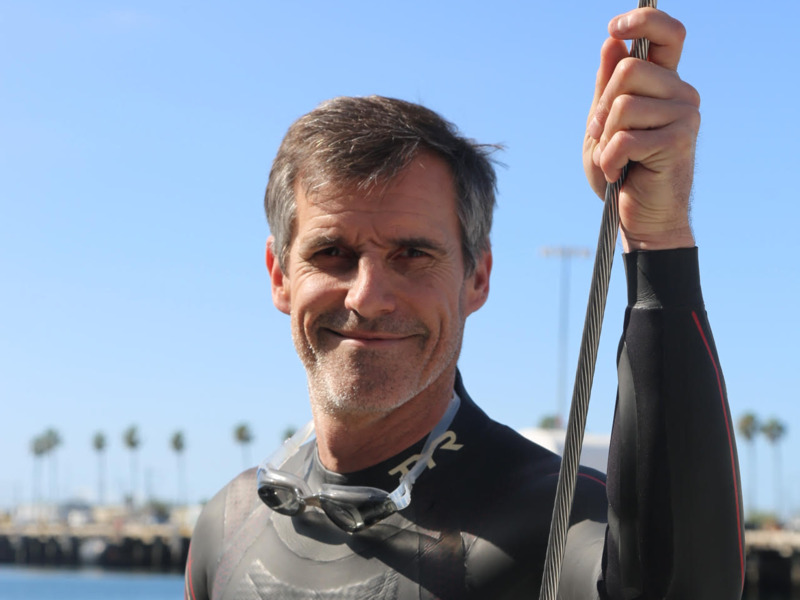 Seeker/The SwimSwimmer Ben Lecomte before his journey began, age 51. 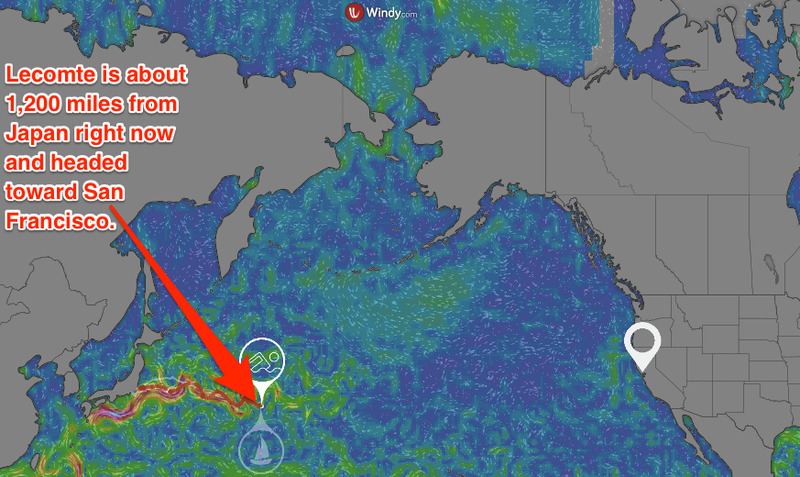 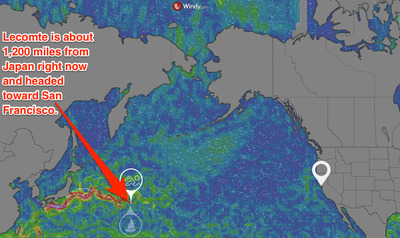 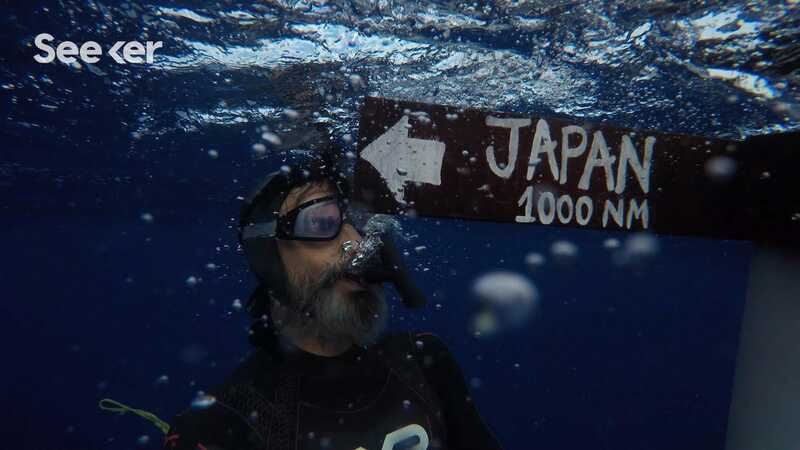 More than 1,200 miles (1,930km) from the coast of Japan, a 51-year-old Frenchman is swimming in the Pacific Ocean right now. 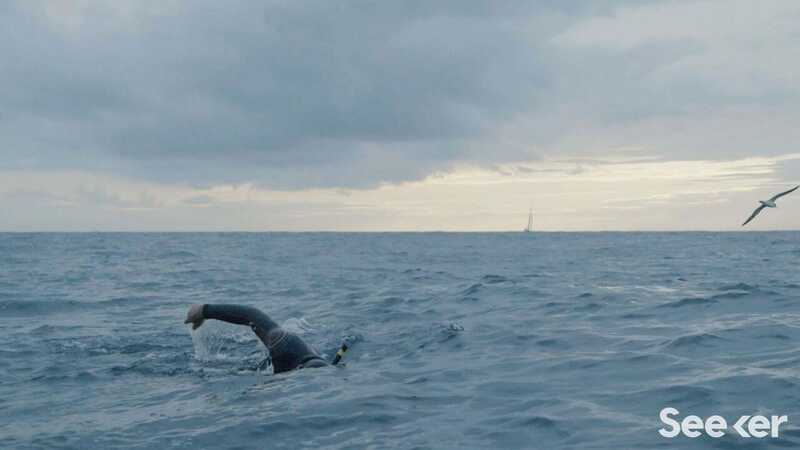 “I wake up throughout the night because I’m hungry,” Lecomte told Business Insider by phone from the 20-meter sailboat, called Seeker, that’s travelling with him. 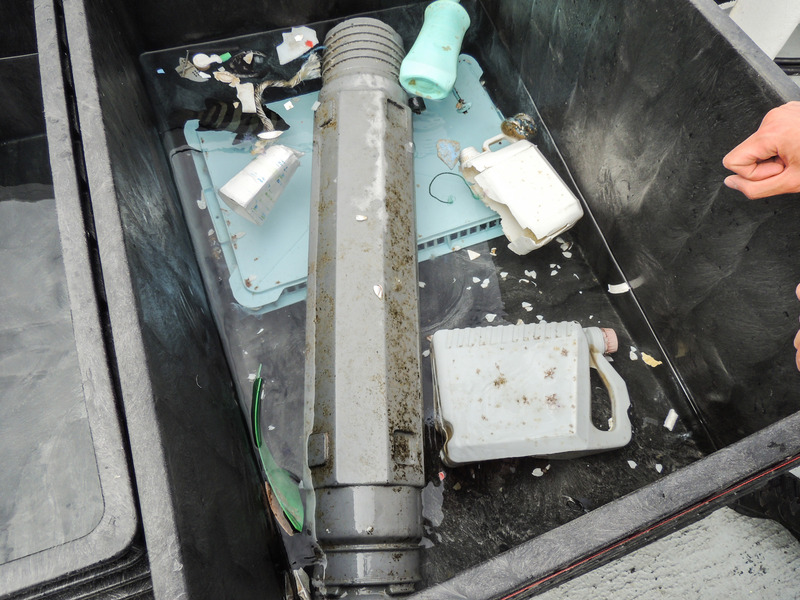 Seeker/The SwimLecomte eats a ton, but says there’s no fresh food on the boat. 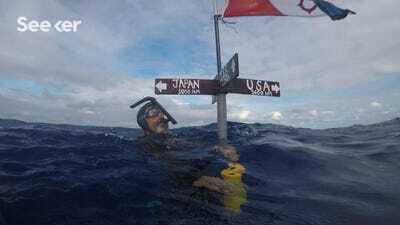 Seeker/The SwimBen Lecomte about 1,000 nautical miles (about 1,150 miles) off the coast of Japan on his way across the Pacific. Lecomte has partnered with 27 scientific organisations as part of his effort, and the crew is gathering water samples as they travel. 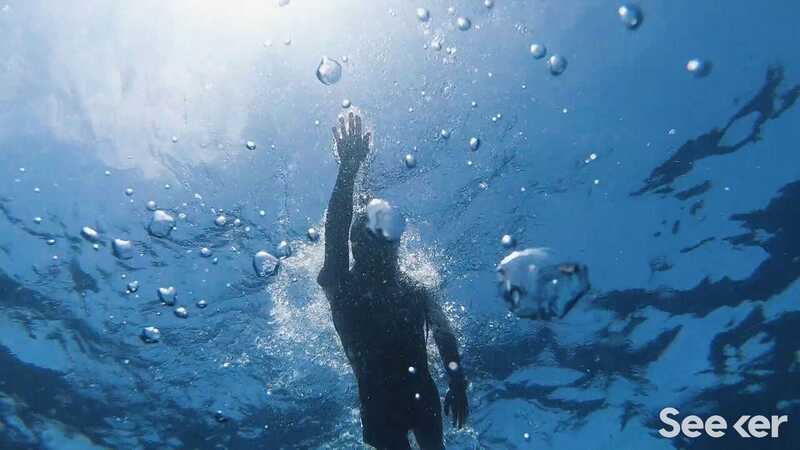 The biological, oceanographic, and medical research will be used by organisations including NASA and the Woods Hole Oceanographic Institution. The team travelling with him estimates that they’re grabbing up to four microplastics every minute on the journey in their special nets. 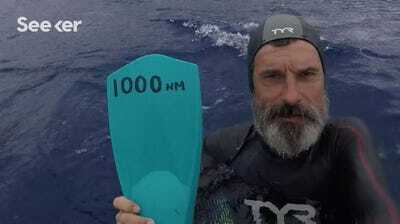 Seeker/The SwimLecomte said he saw an albatross landing on the water, too. Marcel MOCHET/AFP/Getty ImagesLecomte is welcomed, on September 25, 1998 on the beach of Port-Maria in Quiberon by his girlfriend Tinny (C) and his mother Liliane (L). 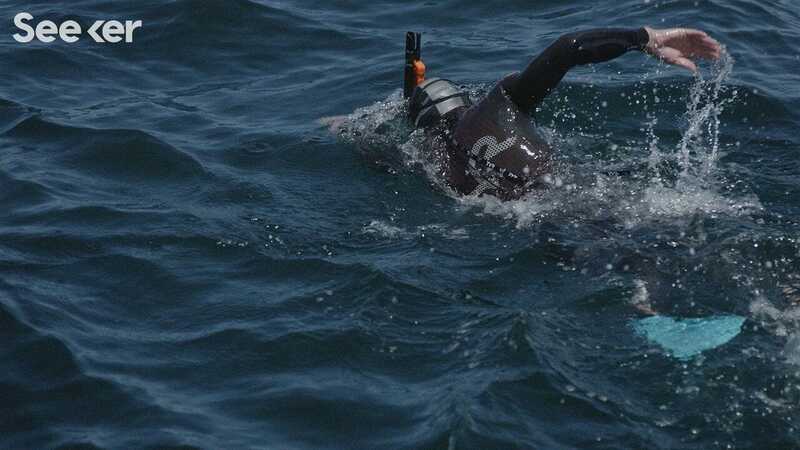 That route took him from Massachusetts to France — a 3,716-mile journey across the Atlantic which raised money for cancer research. 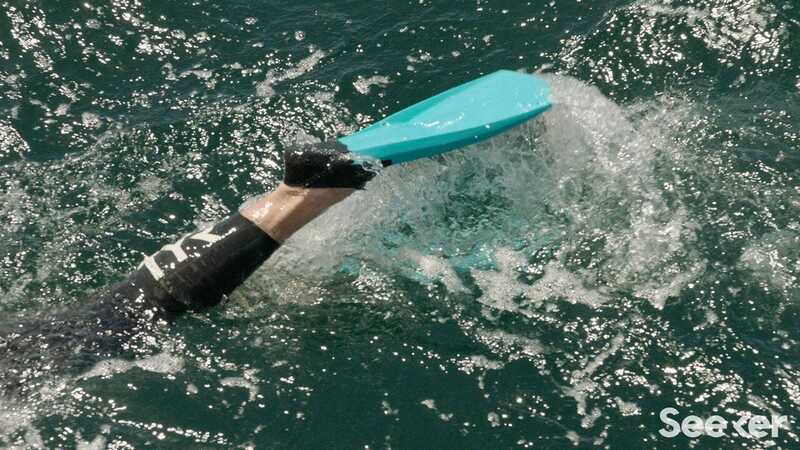 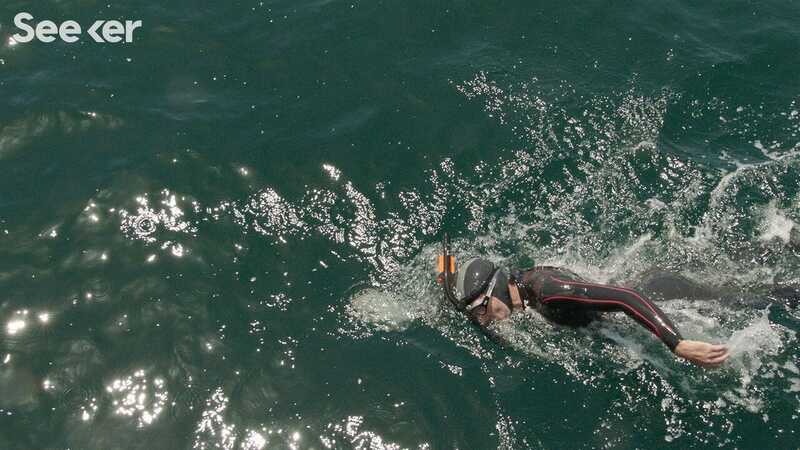 He completed the journey in 73 days, which led some people to question how he did it so fast, since that would require swimming an average of more than 50 miles per day. 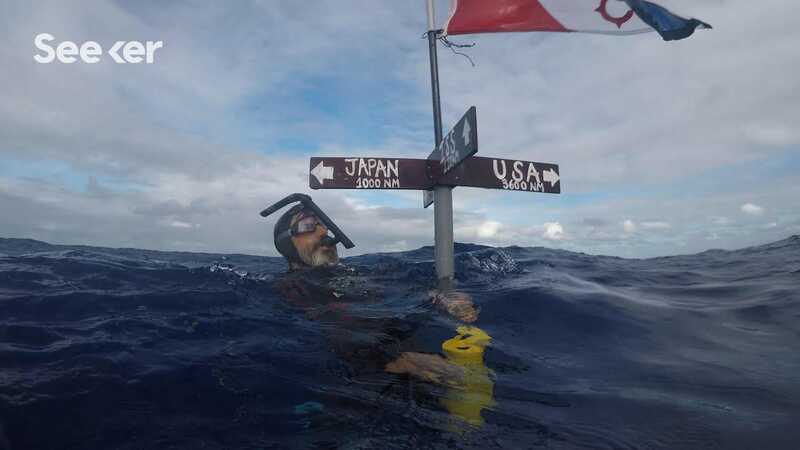 Seeker/The SwimSwimmer Ben Lecomte 1,000 nautical miles (about 1,150 miles) off the coast of Japan on his way across the Pacific.